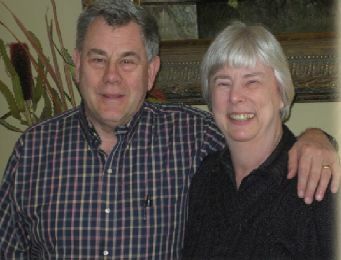 Steve and his wife Mary. Steve is the Senior Paster at Grace Bible Church in Chattanoga, Tennessee, where he has served for more than 33 years. He married the love of his life, Mary, in 1968 and they have four grown children -- Katherine, Liz, Steven and Peter. After graduating from Moody Bible Institute in 1966, Steve completed a degree at Butler University in 1967. He studied at Dallas Theological Seminary, graduating in 1971 with a Master of Theology. He completed further graduate studies in communication at Southern Methodist University (MFA) in 1971 and received his Ph.D. from Ohio University in 1975.